Our customers include researchers who perform static and fatigue tests on new materials in biomedical applications. 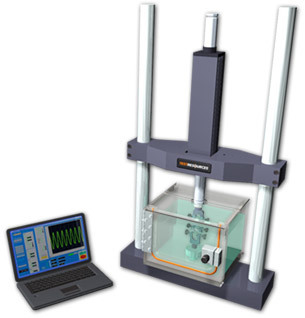 They want to perform viscoelastic characterization of elastomers and polymer based solids, as well as stress relaxation and creep tests on linear viscoelastic materials such as hydrogels. Mechanical tests include elastic modulus and strength (tension and compression), viscoelastic properties, and endurance or fatigue tests. • Expanded range signal conditioners to further increase resolution.